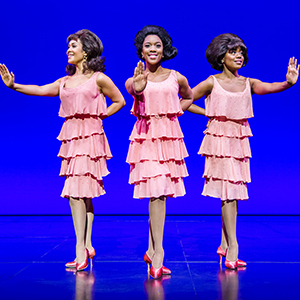 MOTOWN THE MUSICAL is rated 4.6 out of 5 by 87. Rated 5 out of 5 by Kilbs32 from Absolutely fantastic I took my mum to see the show as a belated mother’s day gift, it was truely fantastic. The actors were all great especially a young Michael Jackson and Barry whits. Rated 5 out of 5 by denise27 from Fun My neighbour and i went to see the show together - both Mowtown fans and exceeded expectation ! Rated 5 out of 5 by MrsA from Excellent production! Would definitely go again and highly recommend! I went to this show last Friday evening and what an experience it was! From the moment the curtain was raised until it went down right at the end this was a fantastic production. The cast were amazing, beautiful singing, great set of Motown songs that the audience sang and danced to. 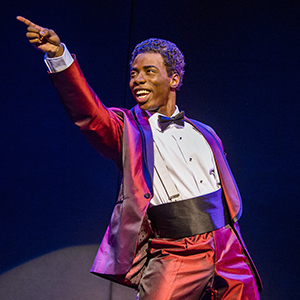 Aside from that, the production value of the actual story into the origins of Motown and the historical accuracy were superb, poignant and eye opening. It is a testament to what a great show it was when right at the end the ENTIRE audience (I’m talking in the stalls and grand circle) were all up on their feet clapping, singing and dancing away to the finale. 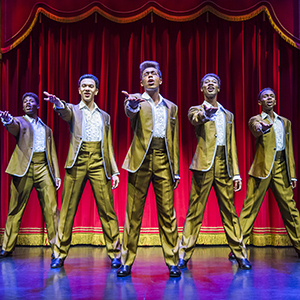 If you are a fan of Motown definitely go and see this - just be wary that the evening showing had several hen parties and numerous people enjoying their drinks which wasn’t a bother for me but may be to some! Rated 5 out of 5 by Gag2702 from Another enjoyable event I went with 3 friends and we throughly enjoyed it, singing and dancing along with everyone else. A night to remember. Rated 5 out of 5 by Bonwar from Fanatastic Show. I went with both daughters and there friend and we all really enjoyed it. Such a good feel factor the show gave us. Rated 5 out of 5 by Bigbird642 from Outstanding show! I've always loved Motown music and regret leaving this show until it's last month as I would love to go again! It tells the 25 year history of Motown music and performers. The singers and dancers make you feel as if you are with all the originals. What a concert that would have been! I'm off to buy some more Motown CDs so I can enjoy all the music again.